Amsterdam, NL, September 24, 2018 – While human genetic mutations are involved in a small number of Parkinson's disease (PD) cases, the vast majority of cases are of unknown environmental causes, prompting enormous interest in identifying environmental risk factors involved. The link between Helicobacter pylori (H. pylori) and gastric ulcers has been known for several decades, but new evidence suggests that this harmful bacterium may play a role in PD as well. 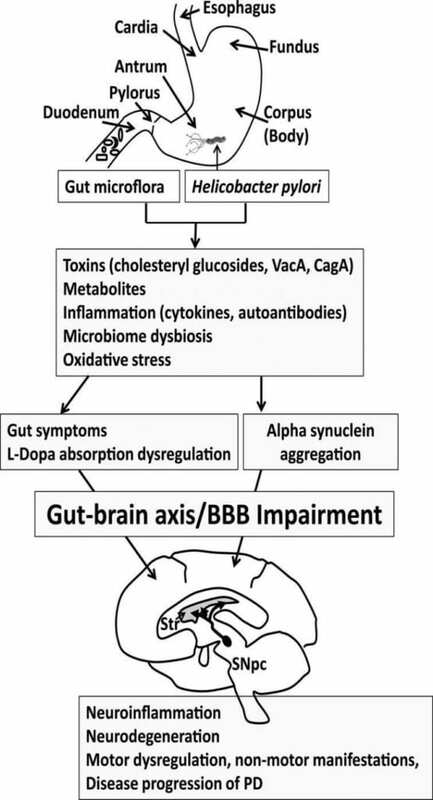 A new review in the Journal of Parkinson's Disease summarizes the current literature regarding the link between H. pylori and PD and explores the possible mechanisms behind the association.